“We must come together to revive these core values – the very foundations of strong institutions, and just and sovereign nations – in our educational system and by the example of our leaders and those who hold positions of power,” it added. The group issued the statement after presidential daughter and Davao City Mayor Sara Duterte-Carpio said that honesty should not be an election issue as all politicians are liars. She made the remark as one of the candidates she endorses, Ilocos Norte Gov. Imee Marcos, face criticisms for lying about obtaining degrees from Princeton University and the University of the Philippines College of Law. Several groups and personalities, including Vice President Leni Robredo, have called out Duterte for her statement. 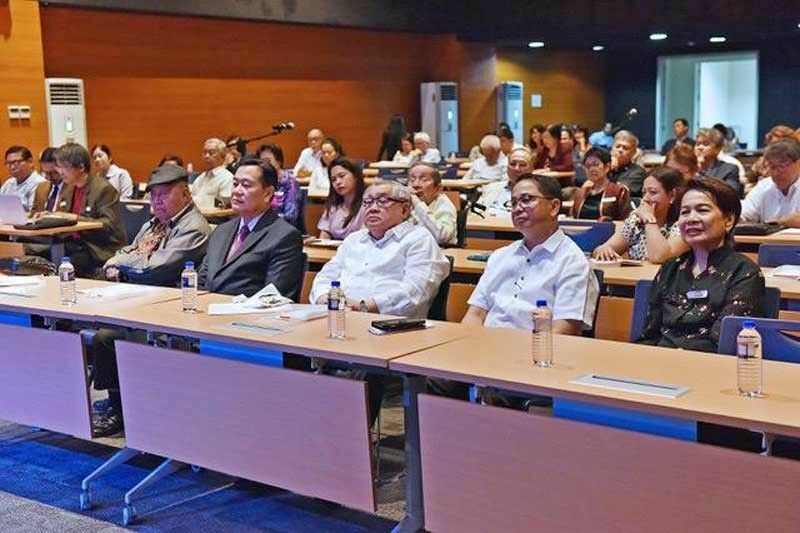 Founded by National Artist F. Sionil Jose and the late senate president Ed Angara, Akademyang Filipino brings together pre-eminent achiever who have distinguished themselves in the arts, sciences, and professions in service to the nation. The group envisions a diverse society of purposeful leaders that would start and sustain an ongoing dialogue among the country’s decision-makers. In addition to Jose, who serves as chair emeritus of the group, other trustees include former ombudsman Conchita Carpio Morales (chair), A. Magsaysay Inc. president Doris Magsaysay Ho (treasurer), National Scientist Angel Alcala, Sen. Sonny Angara, Supreme Court Associate Justice Antonio Carpio, former UP vice president Jose Dalisay, former Far Eastern University president Lydia Echauz, GMA network chairman Felipe Gozon, and former senator Ramon Magsaysay Jr.